Ask for Help - our travel agents are itching to show you the cruise specials. Send us a review and photographs of your Cruise & earn travel vouchers . Here's a review of a first Sinfonia cruise. 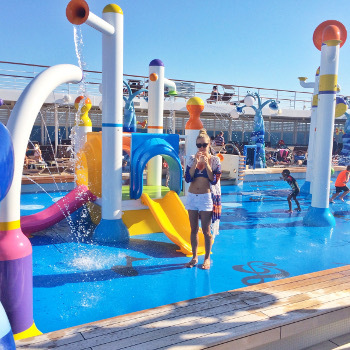 You can book cruises on the new enhanced MSC Sinfonia (she was in the dry dock being extended, new cabins being added, new shops and a spray park for the kids). We are taking bookings for the 2019 and 2020 cruise seasons. Fill in the form below & a friendly consultant will be in touch. Pro-tip : the further into the future you book your cruise, the longer you've got to look forward to it. After the 2018 cruise season we bid a sad farewell to the Sinfonia, and then we bid farewell to the MSC Musica in April 2019; and the MSC Orchestra is the one to book on now - it will be plying our waters during the 2019/20 season. We offer the cheapest cruise prices, biggest discounts and best deals on MSC Cruise ships. We are the only travel agency offering travel vouchers for travel reviews. This ship is a favourite of South Africans, tried, tested and loved. Email cruises@southafrica.to to make a reservation. There are no MSC cruises off South Africa's shores in the winter, as the cruise ships relocate to the warmer climes of the northern hemisphere. In relocating there is an epic journey from South Africa to the Mediterranean (known as the "Northbound" cruise). The opposite trip happens at the start of the trip, with the "Southbound" cruise being from Europe to South Africa). The Grand Voyages are also known as "repositioning cruises". The repositioning cruises are usually great value for money, with the cost per day being lower than other cruises; and visit a swathe of different countries (some of which don't enjoy any regular cruise visits). Below are the schedules. From the 5th to the 26th May; sailing from Cape Town to Venice and along the way stopping at Walvis Bay (Namibia), Dakar (Senegal), Las Palmas de Gran Canaria (Canary Islands), Tangier (Morocco), Valletta (Malta) and Dubrovnik (Croatia). From the 7th to the 30th October; sailing from Venice to Durban and along the way stopping at Katakolon, Heraklion, Suez Canal, Eilat, Aqaba, Port Victoria, Port Louis and Pointe des Galets. The so-called "3 continents" trip (Europe, Asia and Africa). From the 20th April to the 14th May; sailing from Durban to Venice and along the way stopping at La Possession (Reunion), Port Louis (Mauritius), Port Victoria (Seychelles), Aqaba (Jordan) Katakolon (Greece), Kotor(Montenegro) and Split (Croatia). Note that, at the time of writing, MSC Club discounts also apply for the repositioning cruises. Ask your consultant to provide a quotation for a package which includes the cruise, flights and the cost of an overnight stay. 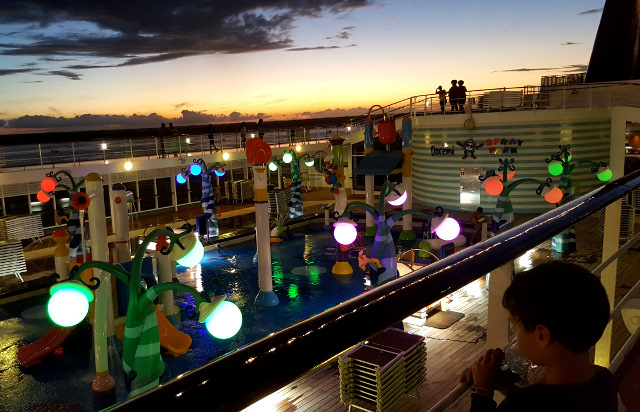 Ask our consultants about how the kids cruise free deals work, and what the limitations are. 2015-04-13 Get on Board for Easter: Book an Easter 2016 Cruise by the 30th of April 2015 in order to secure an Ocean View cabin at the cost of an Inside cabin, or a Balcony Suite at the cost of a Balcony Cabin. This offer only applies to new bookings, and there are a limited amount of cabins available for this promotion. 2015-02-05 Room With a View: If you book and pay for an inside cabin (no window) before 28 February 2015 (on selected cruises) on the MSC Sinfonia, you will receive a FREE upgrade to an ocean view cabin! This "Room with a View" promotion has limited cabins available, so don't wait too long or you will miss out. This offer only applies to new bookings. 2014-10 Up to 50% discount on pre-registrations for the 2015/16 cruise season. 2014-01-14 Cruise from Cape Town to Walvis Bay, Luderitz & back to Cape Town. Departs on the 20th of January 2014. From R16040* for 2 adults & 2 children sharing a cabin, limited availability. 2013-11-07 Cruise from Durban to Port Elizabeth, Cape Town. Departs on the 9th of January 2014. From R3500* per person, limited availability. Nov 2018 to April 2019. The Sinfonia is based in Barcelona, doing western Med cruises from Barcelona to, inter alia, Valencia, Palma de Mallorca, Valletta, Messina, Civitavecchia, Livorno, Genoa and Marseille. May to October 2018. The Sinfonia is based in Venice; doing 7 night cruises from Venice to Split, Mykonos, Santorini, Dubrovnik and Ancona; before heading back to Venice. 6 Nov 2017. The first ever cruise from Durban to Pomene takes place on board the grand MSC Sinfonia. 9 Jan 2017. Pomene is added as a new destination from Durban, for the 2017/2018 season. The first cruise to Pomene leaves Durban be on the 6th November 2017. 19 Nov 2015. The new, lengthier Sinfonia arrived on South Africa shores (in the 2014/2015 season it was only the MSC Opera cruising our shores). 12 June 2015 - Ilha de Mozambique becomes the latest addition to the MSC Sinfonia's itinerary. The first cruise to the new destination takes place from the 21st to the 28th of December 2015, and the second cruise from the 8th to the 15th of February 2016. 12 Jan 2015 to 16 Mar 2015 - The MSC Sinfonia enters the dry dock to be streched and have some 200 cabins added, water features (including cannons) and more shops. Great news for those of us with kids is that the Sinfonia will be fitted with lego-themed playrooms. Kids under 3 can play with Lego Duplo, kids from 3 to 6 can use the limited edition bricks, and kids from 7 to 11 can use the vertical play wall and classical lego bricks. There will be seperate clubs for Babies younger than 3, a mini-club for 3 to 6 year olds, a junior club for 7 to 11 year olds, a young club for 12 to 14 year olds and a teen club for 15 to 17 year olds. The work is being done in Sicily, at the Fincantieri’s shipyard. The ship is being sliced in half, the two ends drawn apart slowly, and then the new block is placed in the middle. 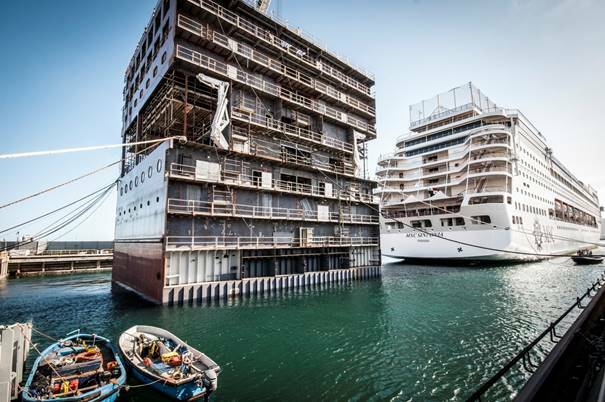 MSC Cruises is making similar changes to its other Lirica class ships - the MSC Opera, MSC Armonia and MSC Lirica. On the 1st of March 2014 she left Durban for the last time on her way to Cape Town via Port Elizabeth, and then on the 17th of March 2014 she said her final goodbyes to Cape Town and South Africa, as she started an epic 20-day cruise to Italy. The Sinfonia had been offering passenger cruises in South Africa since November 2009. 22 May 2013 - SouthAfrica.TO offers 5 MSC Sinfonia cruise prizes in an eTV competition. 10 May 2013 - Greeted by a horse show, the MSC Sinfonia arrives at Mahón on Friday, the capital of Menorca Island. 18 Jan 2013 - The Sinfonia 2012/2013 cruise schedule is announced. She'll be arriving in Cape Town on the 11th November 2013. 28 Mar 2011 - The Sinfonia makes its maiden stop at Port Elizabeth, as part of a 4-day Durban to Cape Town cruise, leading up to its repositioning cruise. The marketing director of MSC Starlight Cruises, Mr Allan Foggitt, said: "We are very excited about including Port Elizabeth in our itinerary. It gives us a rare opportunity to showcase the uniquely different characteristics of our three leading port cities to our foreign guests. Best of all it allows our loyal local passengers to join the cruise from their home port. Port Elizabeth and the surrounding areas in the Eastern and Southern Cape areas fits into this pattern as well and we are talking about people of all ages. Increasing numbers of couples are also celebrating their weddings or other romantic functions on board ship and cruising is always popular for corporate incentives and conferencing." Aug 2010 - Starlight Cruises introduces priority boarding on the MSC Sinfonia. 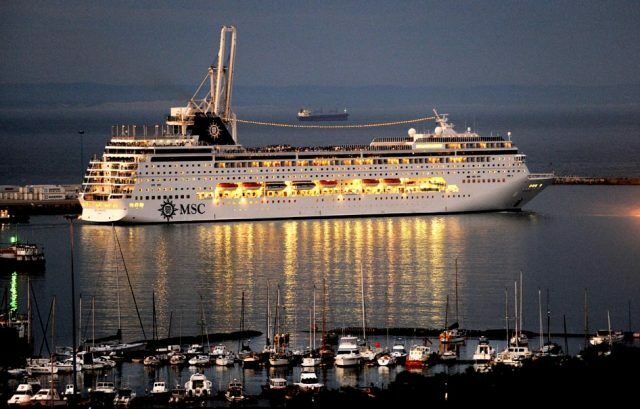 13 Nov 2009 - The MSC Sinfonia embarks on its first cruise from Durban. Nov 2009 - The MSC Sinfonia cruises from Italy to South Africa via the Strait of Gibraltar. 9 Nov 2008 - The MSC Sinfonia embarks on an 18-day cruise from Italy to Brazil; visiting Barcelona, Lisbon, Casablanca and Salvador de Bahia. 23 Nov 2007 -The MSC Sinfonia visits Lisbon for the first time. 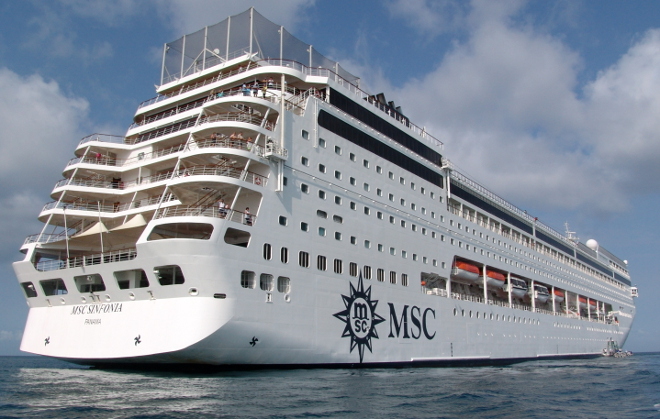 Mar 2005 -The MSC Sinfonia enters service for MSC Cruises. Jul 2004 -The MSC European Stars is auctioned to MSC Cruises (a division of the Geneva-based MSC Mediterranean Shipping Company) for 220 million, and renamed the MSC Sinfonia (it is said to be inspired by great European symphonies). 19 Jan 2004 - Following Festival Cruises declaring bankruptcy, the MS European Stars is impounded and laid up in Barcelona. 25 Apr 2002 -MS European Stars has its first cruise to Barcelona. 4 Mar 2001 - Having been ordered by Festival Cruises, Newbuilding X31 (its yard number was X31) is launched in Saint-Nazaire (France) by Chantiers de l'Atlantique. 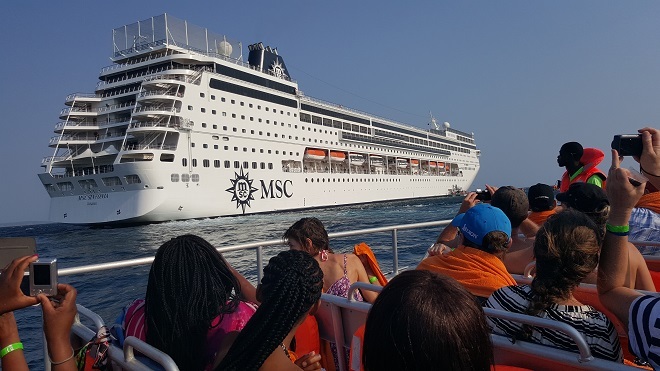 2015-12-03 Rating 4/5 : Inari Prinsloo experienced a cruise to Mozambique on the newly renovated MSC Sinfonia, and enjoyed exploring Maputo. 2013-08-09 Rating 5/5 : Stephen goes on a Sinfonia cruise to St Helena Island sharing tips on how to book a massage so that you can use the Turkish Baths, and to ask the cabin attendant to split the beds to create an opening in the middle and more usable space in the cabin. 2013-04-30. Craig tells us about their anniversary cruise to Mauritius on the Sinfonia, with his adventures including becoming a wedding photographer and swimming in the jacuzzi-like sea of the island. 2013-04-30. 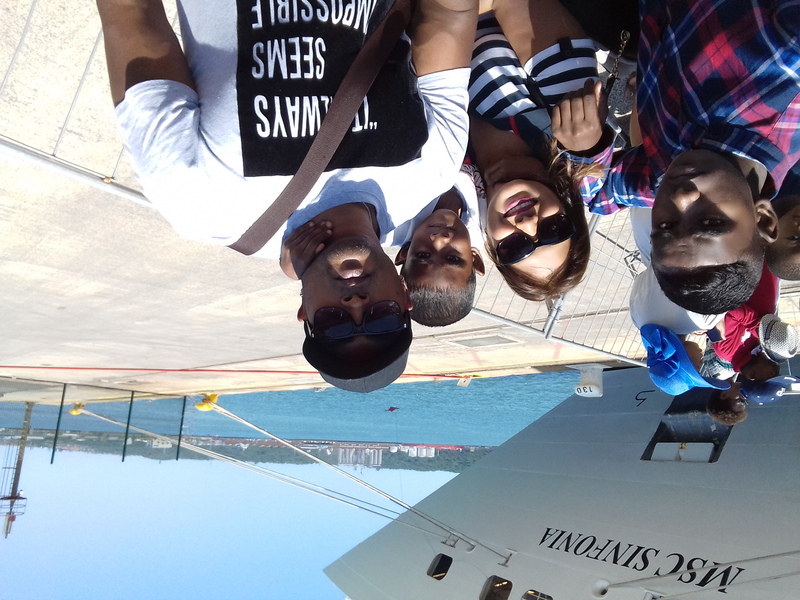 A romantic cruise from Durban to Inhambane on the Sinfonia - Riaaz & Nisha: "As nature lovers and people who appreciate the beauty of the ocean and its inhabitants, we were in absolute euphoria. With increased jubilation, we decided to swim in the cool blue waters of the shores of Inhambane Bay. " 29 Apr 2013. 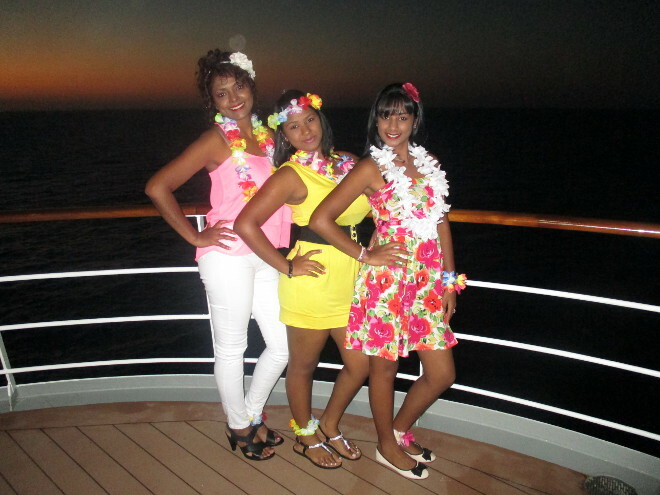 Amanda takes her family on a last minute Sinfonia cruise to Mauritius: "At the island we swam in the lagoon, ate (yes again!) underneath a little grass ‘roofy’ (don’t know what it’s called) drank ice cold local beer & lay on the white beach sand!" 29 Apr 2013. Fairouza wins a work cruise incentive and after a Mango flight to Durban finds herself on an MSC Sinfonia cruise...on stage...and getting now sleep! 25 Apr 2013. 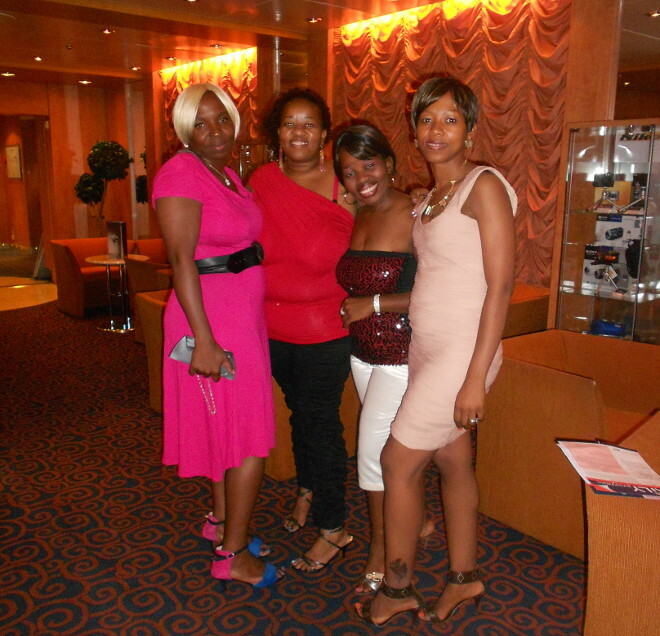 Zeenat enjoys a Sinfonia cruise to Maputo, and shares some photos. 24 Apr 2013. 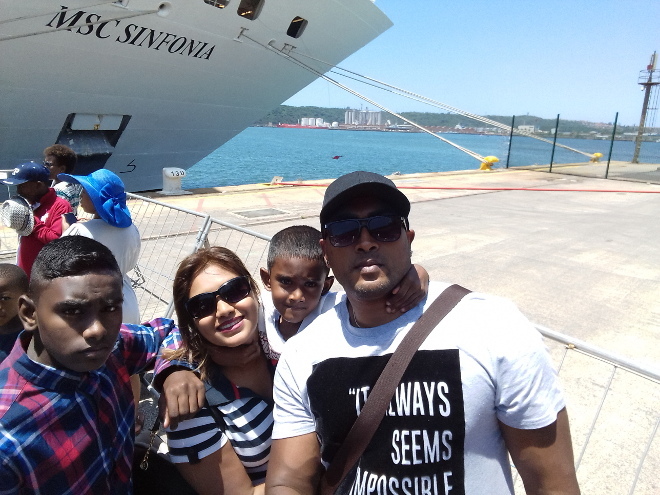 Amits shares photos of his Sinfonia cruise to Maputo and Portuguese Island. 1 Jan 2013. 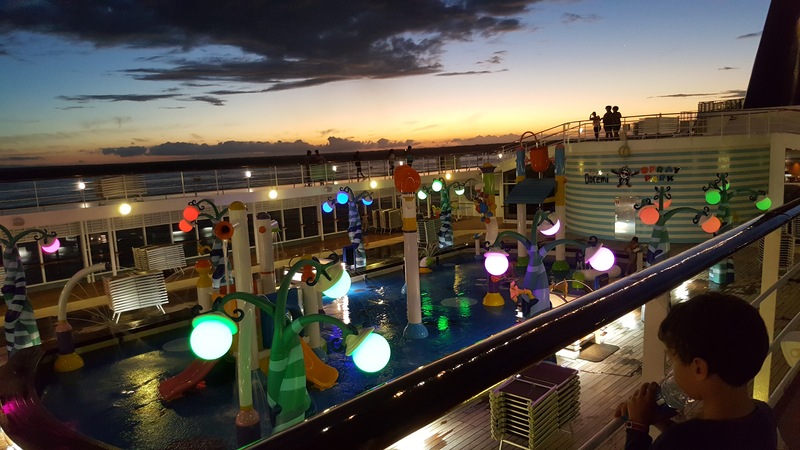 Heid Everett takes some stunning clickies of her cruise to Madagascar - a new year's cruise on the MSC Sinfonia. 14 Dec 2012. Footage of the Sinfonia cruising into Cape Town, with the sun rising and views of the Table Bay Harbour Mouth, Devil's Peak, Table Mountain, Lion's Head, Signal Hill, the Table Bay Hotel, and passengers on deck watching her come in. 12 Dec 2012. Scott Quayle's first cruise is aboard the MSC Sinfonia, sailing from Cape Town. 10 Dec 2012. The MSC Sinfonia experience by Michael, on a cruise to Luderitz which was redirected to Mossel Bay. 3 Dec 2010. 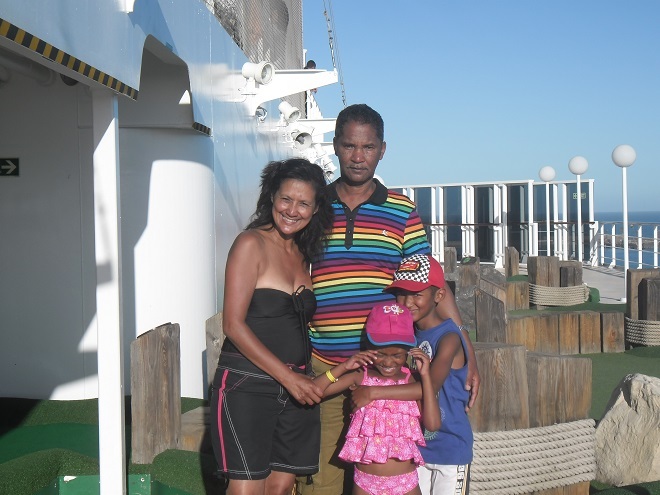 Alison's first cruise ever, and she reviews the Sinfonia from Cape Town to Walvis Bay. March 2012. Louise's light lunch on the MSC Sinfonia. Louise and Salvelio were invited on board the MSC Sinfonia in Port Elizabeth to enjoy a lunch cooked by "Sinfonia's splendid executive chef", Pasquale Scarpati. Louise ordered the creamy seafood risotto, "I had this as a first plate and found it scrummy, the risotto perfectly al dente and the prawns beautifully cooked". Salvelio opted for the main course of "succulent Marche-style leg of lamb". Durban - Portuguese Island - Feb 2011. A fantastic cruise after which I felt a yearning for another longer one, for more time spent sucking in the salt air off the azure waters of Portuguese Island. Highlights of the cruise were the snorkelling excursion and watching Stephen Cloete's stand-up comedy. Durban - Maputo - Feb 2011. An often-missed but fascinating part of the cruise into Maputo is looking at the colonial wreckage of gun platforms on Xefina Island, as you cruise into the bay of Maputo, a stark reminder of the history of Mozambique. In Maputo we did a tour of the city (although our little one so loved being at the play area on the Sinfonia, that we had to leave the tour early), seeing the train station, the fort and the National History Museum (with the only collection of elephant foetuses in the world!). Livorno - Durban - Oct 2009. AmoMondo cruise from Livorno (Italy) to Durban (South Africa) on the MSC Sinfonia, in a category 12 balcony cabin suite. 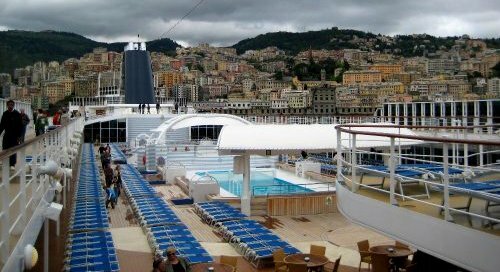 The ship was expected to embark passengers and set sail by 11am from Livorno, before embarking more passengers at Genoa. She stayed on board at Monte Carlo, Dakar, Agadir and Casablanca, but visited Valencia, Walvis Bay ("we all absolutely loved this port"), Cape Town ("had a great time despite rather cool and windy weather") and Durban (stayed at the "Beverley Hills Hotel at Umlanga Rocks. This was a fantastic hotel right on the Indian Ocean which I would not hesitate to recommend to anyone"). Anne's cruise of a lifetime. 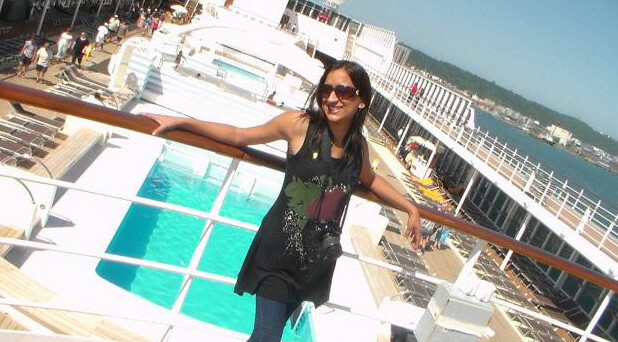 Anne cruised from Genoa (Italy) to Monaco, Valencia Espana, Malta, Tunisia and Rome. Please specify in the reservations form whether you'd like one of these packages added on. This package can only be presented and consumed in the main restaurants on-board. Two jacuzzis and 2 outdoor swimming pools. Inside the ship are 2 sit down restaurants, a library, a disco, 2 showlounges, a casino and a cafeteria. 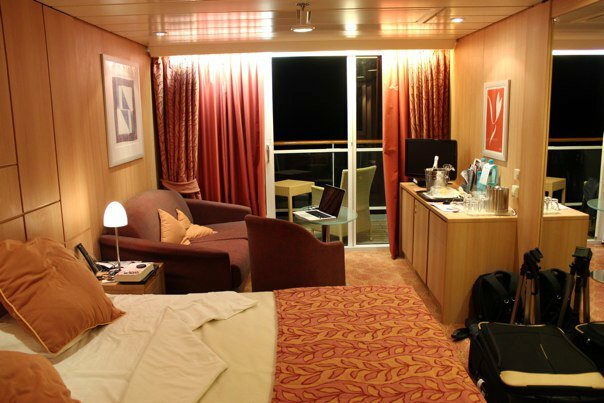 There are 778 cabins on the Sinfonia, of which 135 have private balconies. The cabins are all equiped with televisions, air-conditioning, radio, mini-bar, en-suite bathroom, private safe and 24 hour room service. Cabins (13 sq. m), disabled cabins are available (21 sq. m), single beds that can be converted into double bed (upon request, excluding cabins for the disabled), airconditioning, TV, telephone,bathroom with shower, minibar and safe. 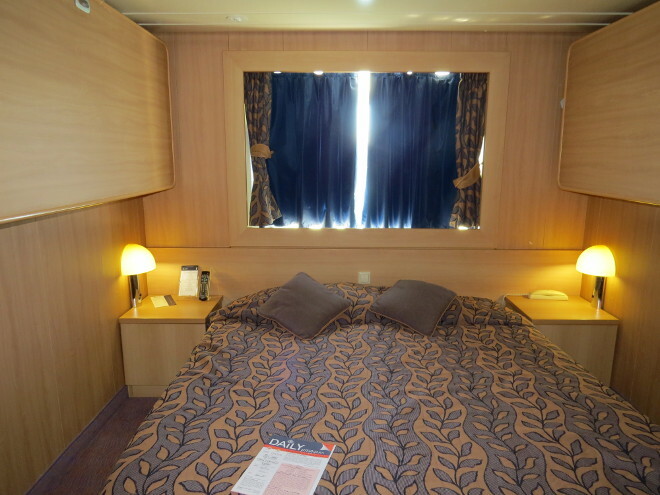 The Sinfonia has 5 category 1 cabins, all of which are 4-berth (but bookings are sometimes available for 2 people to share one). There are 14 category 2 cabins (2 are 3-berths and the rest are 4-berths). Category 3 has a number of 2-berth cabins. The highest inside cabins are the category 5 cabins on deck 10 (same deck as the balcony suites). Cabins (13 sq. m), single beds that can be converted into double beds, airconditioning, TV, telephone,bathroom with shower, minibar and safe. Category 6 cabins may have an obstruction to the view (e.g. a lifeboat). Category 6 cabins can only accommodation 2 people. Suites with private balcony (22 sq. m), Double bed, airconditioning, spacious wardrobe, bathroom with bathtub, TV, telephone, internet connection (at a fee), minibar and safe. Category 11 cabins can sleep a maximum of 3 adults, or 2 adults and 2 children (with the possibility of an additional infant). On the pool deck you'll find an outside bar and table area, 2 pools, a kiddies sprayworld and 2 jacuzzis (which are always busy). 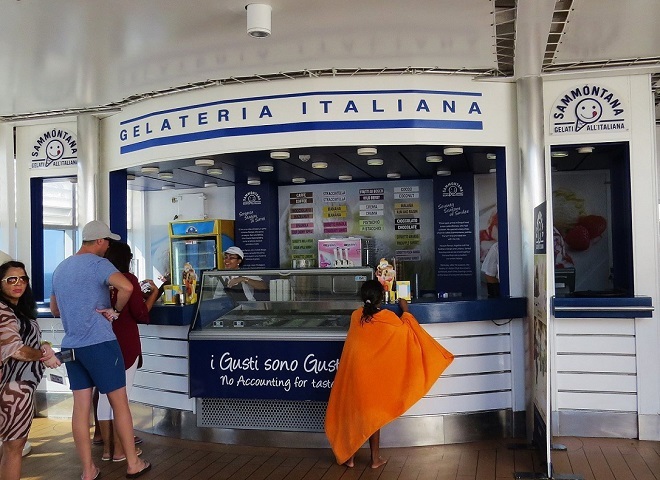 If you want to cool off after time in the sun, head off to the "Gelateria Italiana" for some ice-cream (also always busy). Golf lovers can play miniature golf and use the golf simulator. The MSC Sinfonia can host 2065 passengers, and weighs 58600 tons. Every night, and sometimes during the day, there's numerous shows on board. Please ask your cruise consultant for information regarding prices and adding internet packages to your cruise. Streamer Cruise Plus: Full internet access, up to 1800 megabytes of data. Package includes audio calls and video sharing. Streamer Day Plus: Full internet access, up to 410 megabytes of data. Includes audio and video. 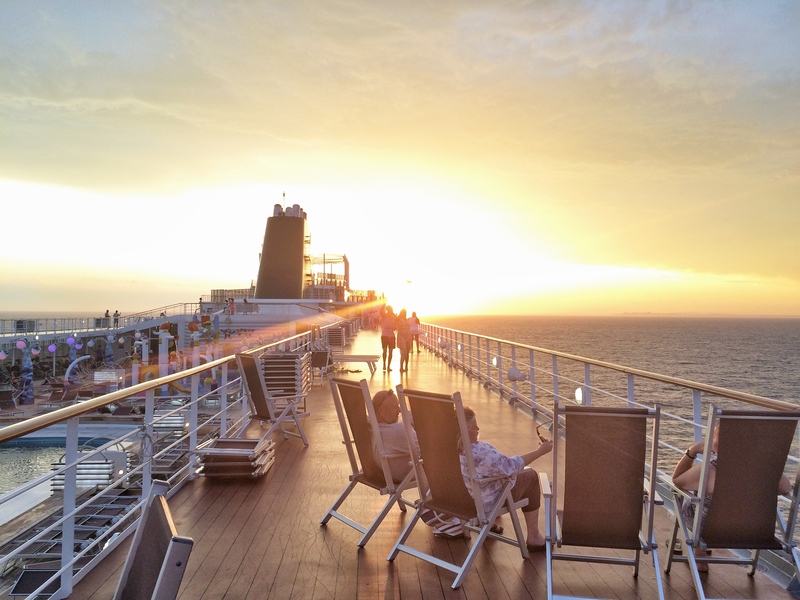 Surfer Cruise Plus: Access to social networks, chat apps, emails and web browsing. No audio and video, up to 960 megabytes of data. Surfer Day Plus: Access to social networks, chat apps, emails and web browsing. No audio and video, up to 205 megabytes of data. 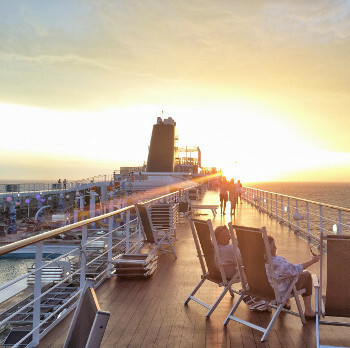 Social Cruise: Access to social networks, chat apps only for the entire cruise. No audio and video, unlimited data. Social Day: Access to social networks, chat apps only for 24 hours. No audio and video, unlimited data. The Sinfonia is pronounced "Sin-fin-ee-a", NOT "Sin-phone-ee-a". 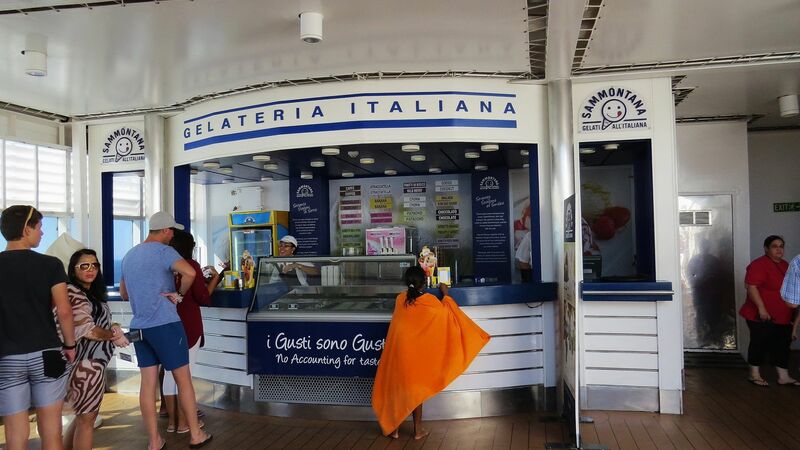 Each cruise has a different embarkation time. You can enquire through cruises@southafrica.to or your direct agent for the embarkation times of your cruise. Check in opens 5 hours before and closes 1 1/2 hours before embarkation. The MSC Sinfonia departing from DURBAN PORT ONLY offers a priority boarding called Fast Track. Once the MSC Sinfonia arrives in Durban harbour, clearance by port authorities and disembarkation can take a while, and it is recommended you book to fly out of Durban after 13h00 that day. Click here for a detailed description of the disembarkation procedure. Halaal meat is available and a vegetarian choice is served at meal times. Please inform your travel agent about your dietary requirements as this information needs to be added onto the booking. Unfortuanately, the MSC Sinfonia does not cater for Kosher meals. Other cruise ships the MSC operates from South African waters is the MSC Opera (the agent in South Africa is MSC Cruises). Have a look at our photos of the MSC Rhapsody cruising into Port Elizabeth and Cape Town. Other cruise ships of the MSC are the MSC Armonia, MSC Divina, MSC Fantasia, MSC Magnifica, MSC Melody (no longer in service), MSC Preziosa (latest edition), MSC Splendida, MSC Lirica, MSC Musica, MSC Opera, MSC Orchestra and the MSC Poesia (and if the MSC Poesia visits South Africa, the name alone will market it!). Taking photos is a popular pastime on the MSC Sinfonia. Look at all the cameras which popped out as the MSC Flamingo transfer boat took us to the MSC Sinfonia, after a shore excursion on Portuguese Island. Ciao! Our stats indicate you are the first person to ever read to the bottom of this page (jokes) - hopefully you have enough info to make an MSC Sinfonia booking (with us of course) - if not please leave a comment below and one of our beautiful, friendly cruise consultants will be delighted to assist (if you have no questions leave a comment anyway - we love it when our clients say hello).